Good Catch on The Golden Ticket comment. Comey was on the WhiteWater committee and the one who was demanding an indictment. Comey should have recused himself. 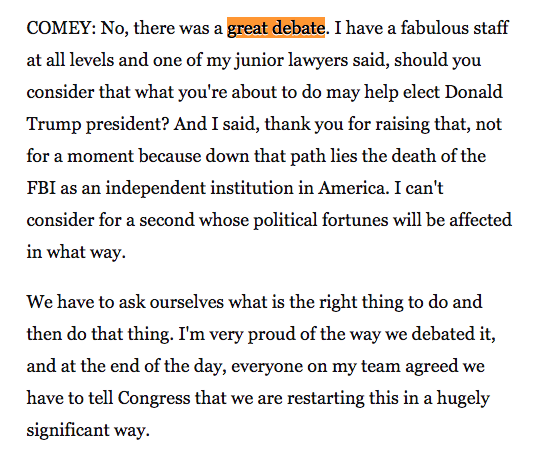 Why was it ok for Comey to twice be public about the Hillary Clinton investigation while never mentioning the FBI was also investigating Donald Trump, and Bernie Sander and Sander’s wife?